Standing proud in the city it has dominated for nine centuries, Carlisle Castle remained a working fortress until well within living memory. It has withstood many sieges, held captive a royal prisoner, and been home to the King's Own Royal Border Regiment. Explore the medieval castle rooms, discover a turbulent history with the exhibition, and walk some of the castle walls. We're also home to Cumbria's Museum of Military Life. William II advances north and defeats local warlord Dolfin. William takes Carlisle, makes the town a borough and builds the first castle on part of the Roman site. The Scots hold the town and castle to siege in 1173, 1174, 1216, 1296, 1297, 1315 and 1461, making it the most frequently besieged place in the British Isles. Henry I visits Carlisle and orders that the castle be fortified. This may be the origin of the keep. Queen Mary's Tower is added to provide better accommodation. Families and clans on both sides of the border form armed bands of 'reivers' who regularly rob and pillage their neighbours, causing a prolonged economic decline. Henry VIII orders a review of Carlisle's defences, resulting in the largest building campaign since the 12th century. Mary, Queen of Scots, flees to England and is housed in the Warden's Tower, later Queen Mary's Tower, at Elizabeth I's expense. The castle is used as a reivers' prison. The notorious reiver William Armstrong ('Kinmont Willie') is rescued when armed friends use ladders to break into the castle. In the Civil War the castle is garrisoned for Charles I. The Scots and Parliamentarians starve out the castle. Almost a year later, the garrison finally surrenders. Prince Charles Edward Stuart takes the city and castle with 400 men. The Duke of Cumberland besieges the castle and the Jacobites surrender. Many are imprisoned and 31 are executed. Fearing revolution, the government maintains several provincial garrisons. 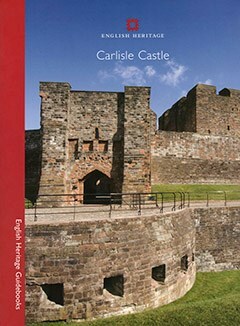 Carlisle Castle becomes an important army barracks. Many features are destroyed or altered. A dual carriageway separates castle from city. English Heritage shares the castle with the Territorial Army, the county's emergency planning services and Cumbria's Museum of Military Life.